The superstar tenor would have been 80 this month and to mark the occasion we've charted the influence he had on the music world – and beyond. Pavarotti would have been 80 this month. He profoundly influenced the classical music world, and beyond - here's our look at how one man from Modena changed everything. Queen Elizabeth I, the Queen Mother, talking with Luciano Pavarotti - still in costume in the Crush bar at the Royal Opera House, Covent Garden, after attending the Gala performance of Donizetti's 'Fille du Régiment'. Pavarotti was one of the few classical stars to have become a household name. He's pictured here with the King of Pop Michael Jackson as they attend an Italian TV award gala in Milan, 1997. Pavarotti enjoyed raising the profile of classical music through appearances with prominent pop stars – including The Spice Girls. As a baby, Pavarotti shared a wet nurse with soprano Mirella Freni. She used to joke: "You can see who got most of the milk!" 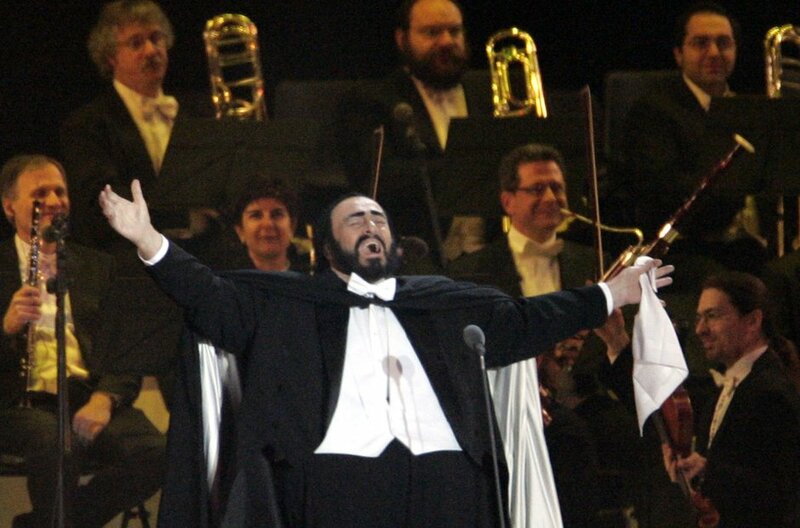 Pavarotti on stage with the great soprano Joan Sutherland. Tenor Luciano Pavarotti talks to Sir Paul McCartney during Gramophone's 1997 Classical Music Awards at London's Alexandra Palace Photo by Adam Butler/PA*EDI*. His voice made a big impact on fellow tenor Juan Diego Flórez: "Pavarotti's a great example of the joy of singing, the joy of sound – his tone is as beautiful as the sun," he said. This is an image of Pavarotti's home town of Modena, packed with people waiting in a line to pay their homage to Pavarotti as he lay in state in Modena's Duomo, Sept. 7, 2007.